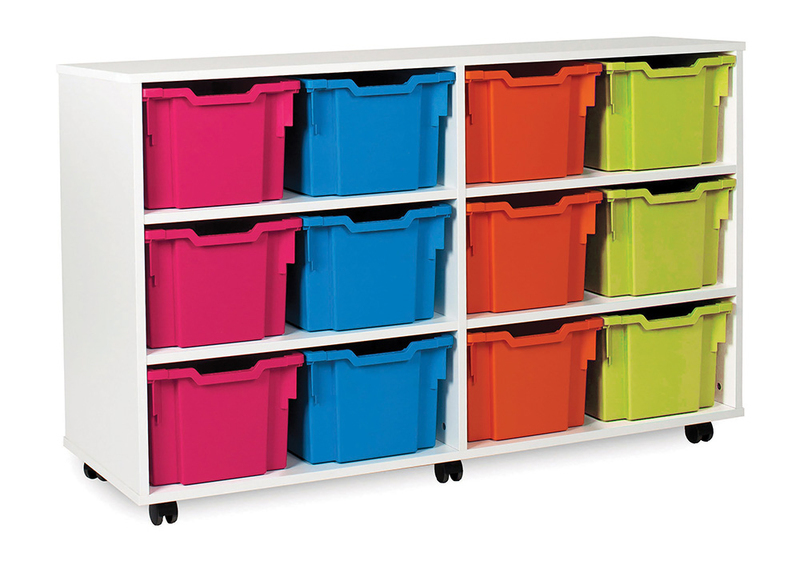 The White Range classroom storage unit variety tray is available with 12, 14 or 16 variety school tray options. 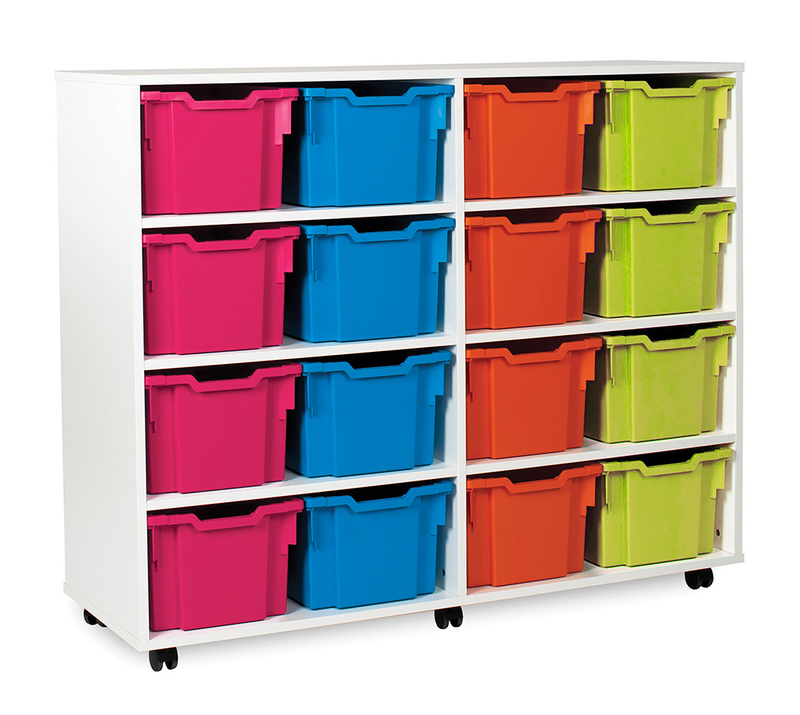 Ideal for storing classroom materials and art supplies within schools, pre-schools and nurseries. The White tray storage unit is constructed from 18mm durable MFC and comes in a modern white finish, complete with easy glide castor wheels for smooth mobility if required. The school tray unit can be mobile or static. The 12 variety tray storage unit comes with, 4 shallow, 4 deep and 4 jumbo trays. The 14 variety tray storage unit comes with 8 deep and 6 extra deep trays. The 16 variety tray storage unit comes with 4 shallow, 4 deep, 4 extra deep and 4 jumbo trays. Please note: multi-coloured trays are available at no extra cost. Please Contact Us or call us for more details on 01733 511121.